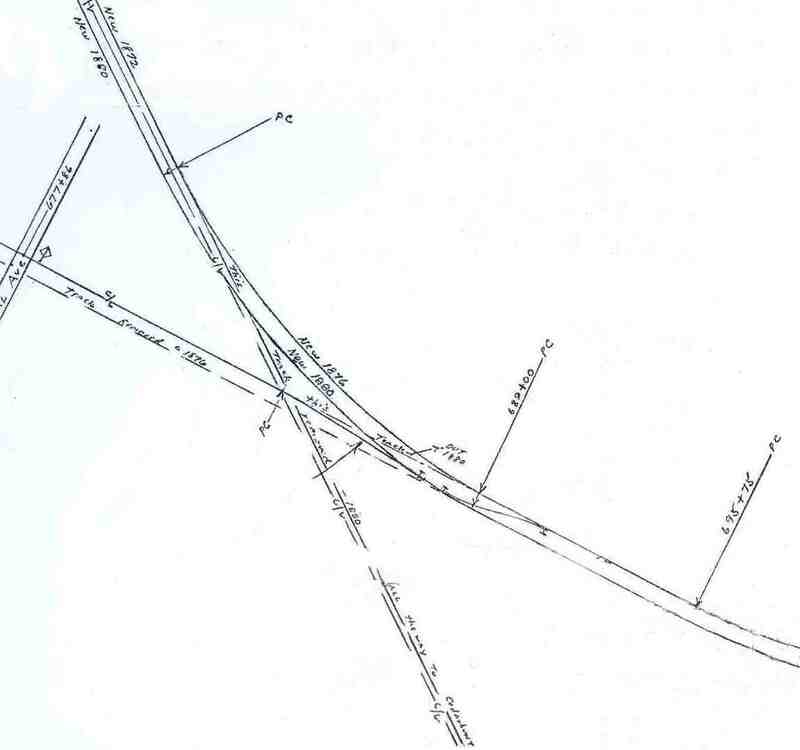 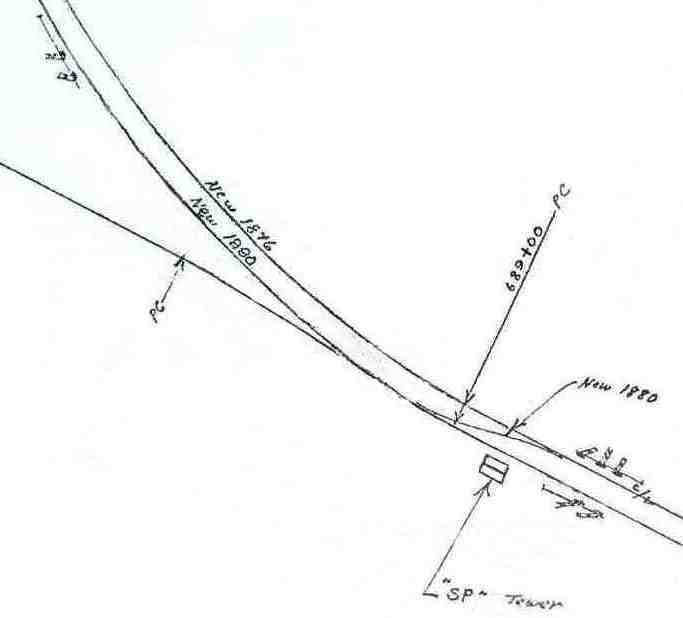 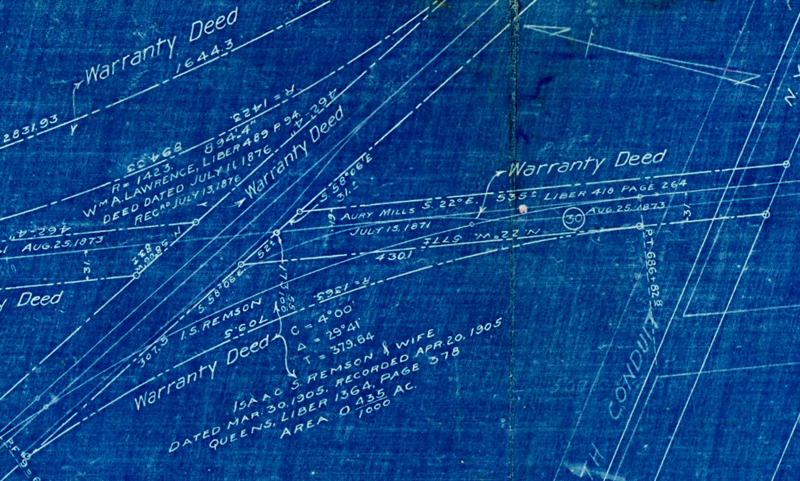 THIS LAND PLAN SHOWS WHEN THE VARIOUS PARCELS OF PROPERTY WERE PURCHASED. 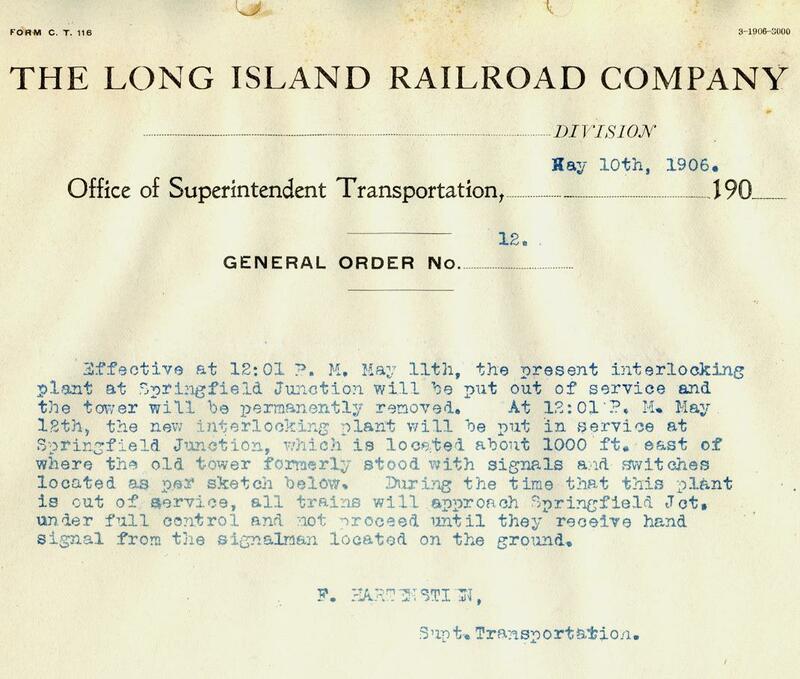 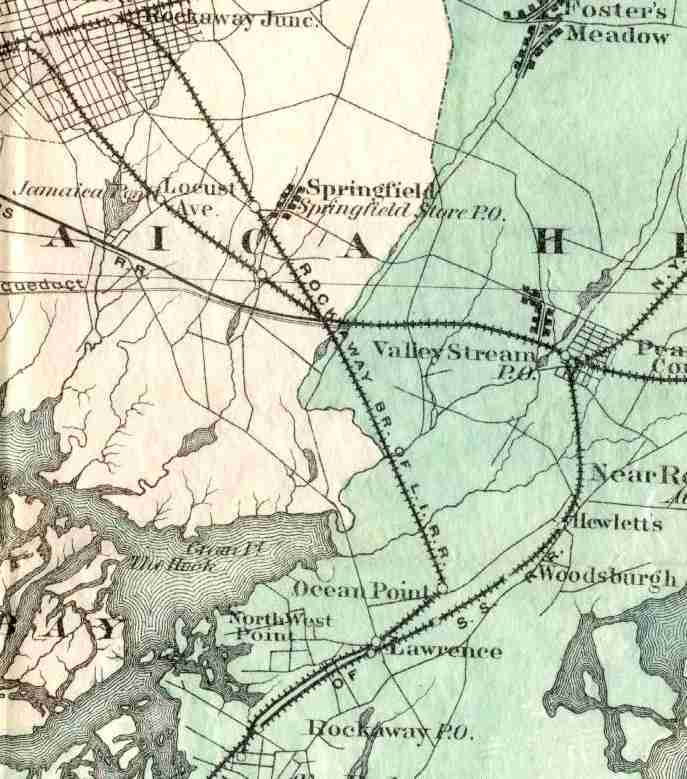 CONNECTION OF THE NEW YORK & ROCKAWAY WITH THE SOUTHERN RAILROAD. 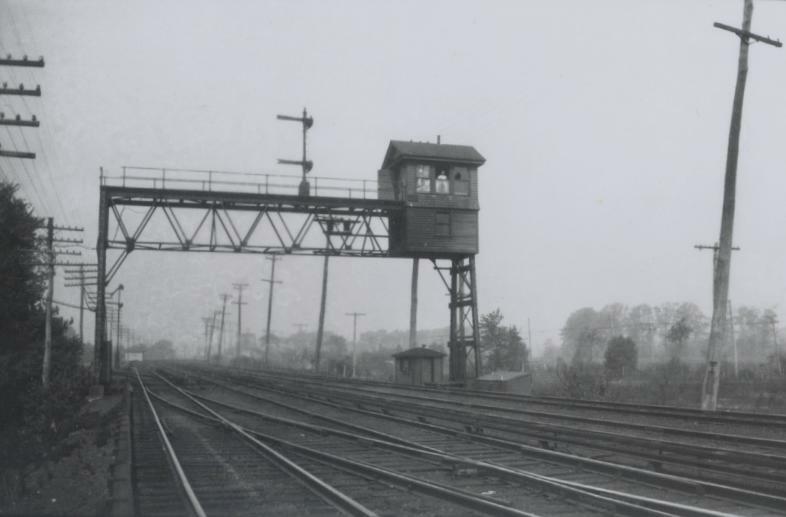 SIGNAL STATION NUMBER 19 - "SP"
THE 1895 TOWER IN EARLY 1906 - ON MAY 11, 1906 THE TOWER WAS REMOVED FROM SERVICE. 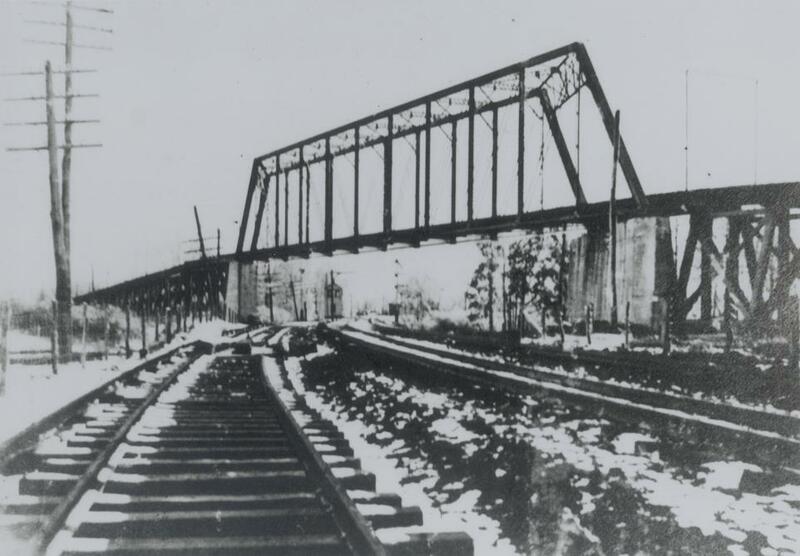 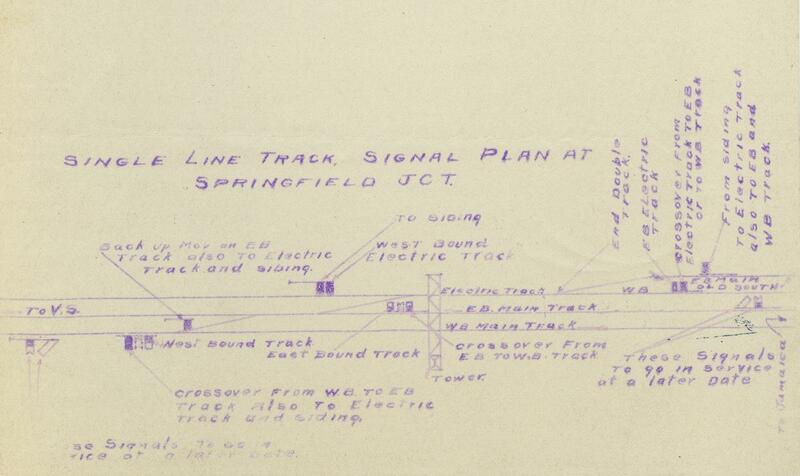 THE NEW THIRD TRACK (AT LEFT) WAS PLACED IN SERVICE MAY 17, 1906. 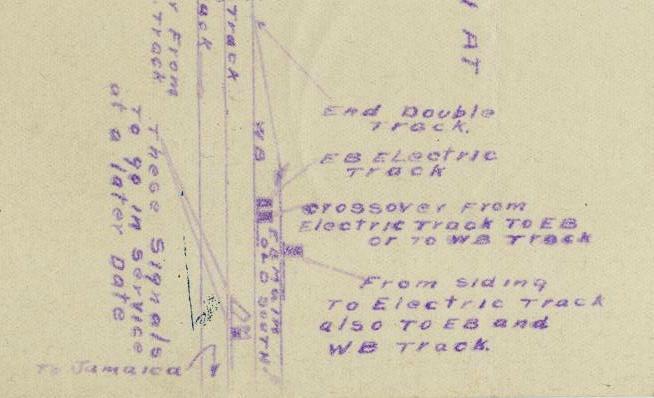 MAKING THE ATLANTIC BRANCH DOUBLE TRACK.